A view of Mill 19 and the area where the plaza will be built at Hazelwood Green. Photograph by Annie O’Neill, courtesy of Almono LLC. Design firm Gustafson Guthrie Nichol (GGN) has been chosen to create the first public plaza at the 178-acre Hazelwood Green site. GGN will work with Pittsburgh firms including Bohlin Cywinski Jackson, Klavon Design Associates, KU Resources, and Santangelo & Lindsay on elements of the project. Additional partners will include DCW Cost Management, SITEGreen Solutions and Tillett Lighting Design Associates. 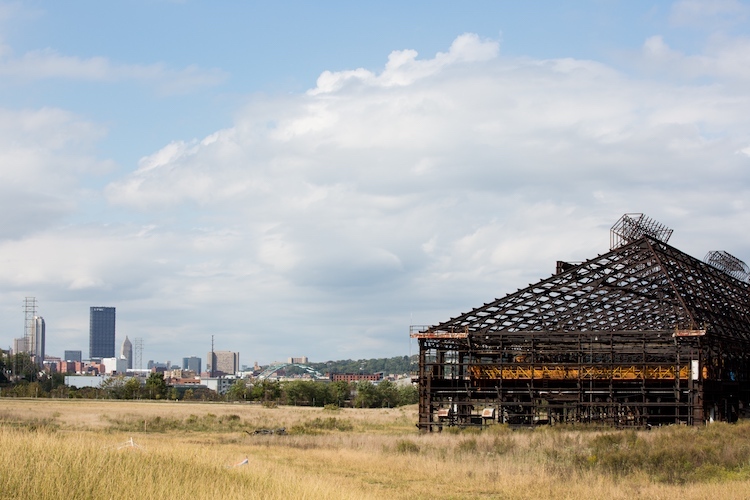 Within this sprawling former steel mill site, Hazelwood Green‘s two-acre public plaza is meant to be “an adaptable and innovative gathering and event space for those who work, reside in or visit Hazelwood Green and its neighborhood of Hazelwood,” according to an announcement about the project. The new plaza is expected to include a mix of benches and seating, green space and native plantings, lighting, public art and space for seasonal events. 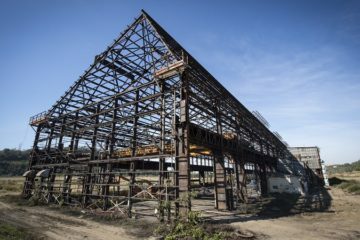 It will lie south of the Mill 19 building, the large former mill structure currently under construction that will be home to Hazelwood Green’s first anchor tenants — the Advanced Robotics for Manufacturing (ARM) Institute and Carnegie Mellon University’s Manufacturing Futures Initiative. Mill 19 will open out onto one of the plaza’s four sides, with a second side facing Hazelwood Green’s Main Street — Lytle Street — that will begin construction this summer. The remaining two sides of the plaza will be bordered by additional buildings. 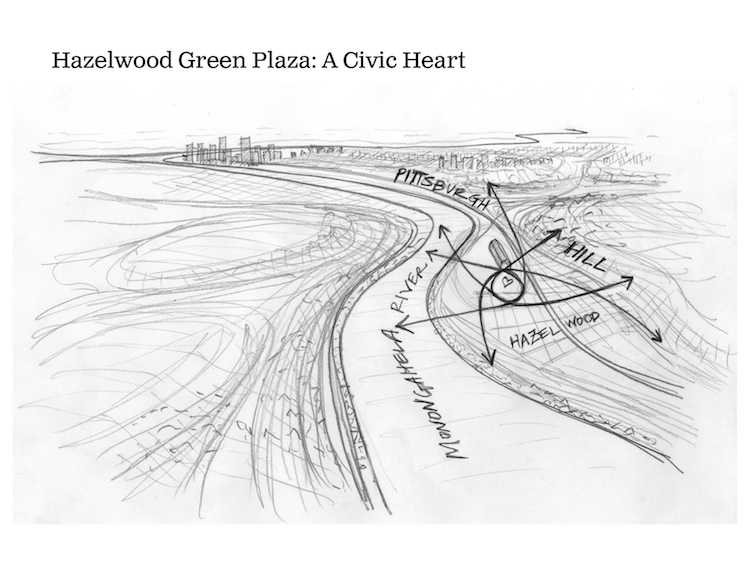 Sketch of the proposed Hazelwood Green public plaza area courtesy of Veritas PR. Construction on the plaza is scheduled to begin in early 2019 and is due to be completed by late summer or early fall next year. 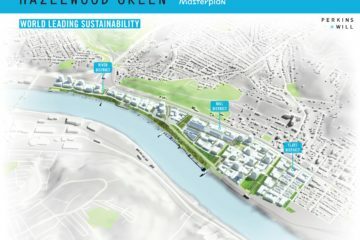 “We received an outstanding mix of proposals, but were most impressed by GGN and their understanding of the role of this first public space in shaping Hazelwood Green as a place, and for its important role within a larger system of well-loved civic centers in the City of Pittsburgh,” said Hazelwood Green project director Rebecca Flora in an announcement about the project. A field of 30 design firms submitted proposals and a shortlist of eight were announced in January. GGN’s past work includes the National Museum of African American History and Culture in Washington, D.C.
GGN’s proposal was selected by a nine-member advisory committee that included Flora.